Lot:3042 1812 Capped Bust Left Half Eagle. BD-1. Rarity-3. Wide 5 D. AU-50 (ANACS). OH. 1812 Capped Bust Left Half Eagle. BD-1. Rarity-3. Wide 5 D. AU-50 (ANACS). OH.Plenty of original mint luster blends with vivid deep olive and orange-gold patina on both sides of this endearing early half eagle. Boldly defined on the obverse, less so on the reverse, with a touch of glossiness to the texture that we note solely for accuracy. More prominent is a shallow obverse planchet flaw (as made) over and before Libertys cheek. 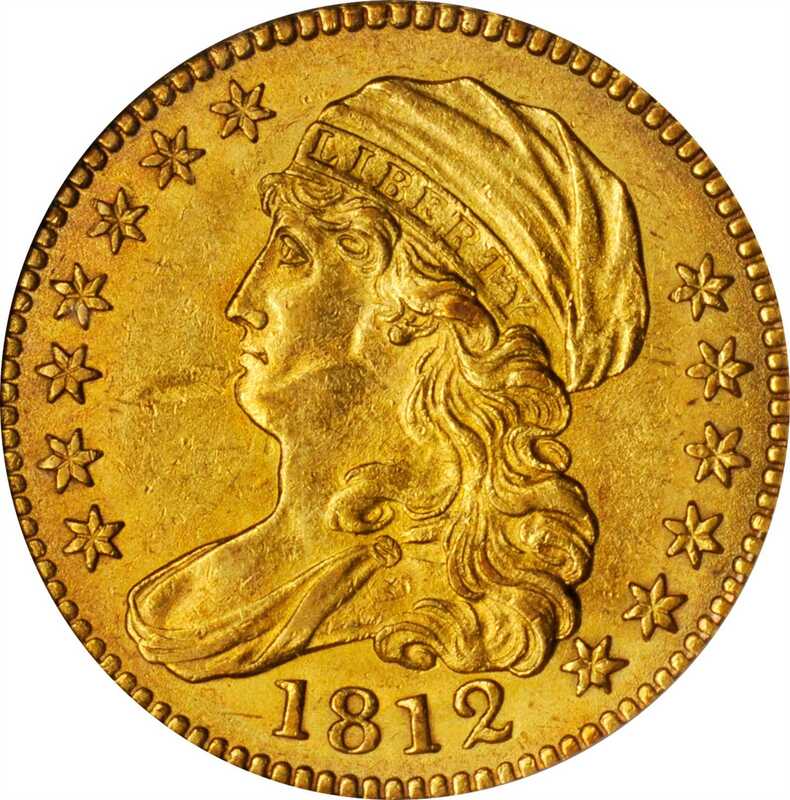 The 1812 BD-1 is one of the more realistic type varieties in the Capped Bust Left half eagle series of 1807 to 1812. BD Die State a/a.